The International Civil Aviation Organization (ICAO), the International Air Transport Association (IATA), and the United States government require anyone involved in shipping hazmat by air transportation to undergo both initial and recurrent training. This training is intended to give hazmat employees an understanding of the two organizations’ respective regulations, the ICAO/IATA Dangerous Goods Regulations (DGR) and Title 49, Code of Federal Regulations (49 CFR). The primary reason for requiring training is because they contain the mandatory rules governing the handling and shipping of hazardous materials/dangerous goods, which can at times seem like an overwhelming amount of information to take in. We have already provided information on our previous posts regarding shipping dangerous goods by vessel and hazmat ground transportation, so we follow them with some of the basics for hazmat by air transportation. The reason for regulations for hazardous materials transportation existing in the first place is that regulations demonstrate what experts have determined to be the safest procedures/requirements of transporting hazardous materials. Hazmat or DG, these materials have their names for a reason: any errors at any point in the shipping process, even the smallest ones for the smallest packages, can lead to a hazardous materials incident, which can threaten the integrity of the packaging, the integrity of the vehicle transporting the materials, and the lives of anyone in the vicinity of the incident. This means that hazardous materials require careful attention and treatment when being shipped and handled, and regulations like IATA DGR and 49 CFR codify and enforce the proper ways that they must be classified, identified, packaged, marked, labeled, documented, placarded, and segregated. In addition to showing hazmat employees how to prevent incidents, these regulations also prescribe the requirement on how to respond if an incident does occur. Before we move into information that is more specific to the air transport process, here is some quick information about the regulations. The International Civil Aviation Organization (ICAO) is the organization that prescribes the rules for hazmat by air transportation at the international level, and these rules are codified in the ICAO Technical Instructions. While 49 CFR pertains to the transport of dangerous goods by any mode of transportation to, from, and within the United States, it may not fully comply with the Technical Instructions. IATA, a trade organization for airlines, makes sure that the DGR fully comply with the Technical Instructions and, through the US Variations, point out the additional requirements of 49 CFR (HMR). This means that complying with IATA/ICAO DGR is authorized by 49 CFR under Section §171.22, “Authorization and conditions for the use of international standards and regulations,” which is why IATA certification is so valuable. This may be surprising to hazmat employees who are more familiar with other modes of transportation, but the law bans specific hazardous materials that can be shipped by ground or vessel from being shipped by air. IATA DGR distinguishes between dangerous goods not just by classifying them into nine distinct hazard classes (some of which have their own “Divisions”), but also into those that are allowed under certain circumstances and those that are forbidden under any circumstances. As we mentioned earlier, hazardous materials incidents are perilous under any circumstances. However, they can be even more dangerous during the air transportation process. To put it mildly, if anything should occur in the sky, it can quickly become an even worse problem on the ground should the integrity of the aircraft be compromised. This is why it is essential for anyone involved in hazmat by air transportation to be able to identify which dangerous goods are and are not allowed – and the requirements that must be met for any allowable ones to be permitted for air transport. In addition to complying with 49 CFR as previously mentioned, IATA DGR dictates that the packaging of hazardous materials for transport by air in many cases must meet the standards set by the United Nations as prescribed by the packing instructions (49 CFR will not require the UN Specification packages if the shipment originated by ground or vessel transport). This means using UN-approved packaging that complies with the primary goal for UN standards, which is to “prevent the escape of the material contained within it.” Packaging is only UN-approved if it passes the relevant performance tests. These tests verify to see if packaging can safely withstand the rigors of the shipping and handling process under normal conditions of transport. When packaging passes the required tests, hazmat employees are authorized to use the packages as per the respective packing instructions and the packages must be marked to demonstrate the UN specification code. While these basic facts about hazmat by air transportation are accurate, they are far from comprehensive, and these comments barely touch on all the information that hazmat employees are required by law to understand. 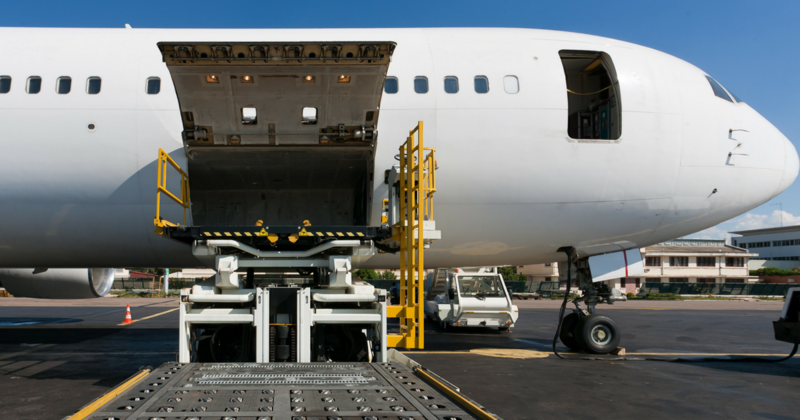 There is much to learn about the proper handling and shipping of dangerous goods, and while employees may find this article helpful as an information resource, it is no substitute for adequate hazmat by air transportation training. Hazmat University provides both training courses for the primary modes of hazardous materials transportation, including shipping by air training – both initial training for new employees and recurrent training for more experienced ones. Sign up for our online courses today and receive your IATA certification in no time.